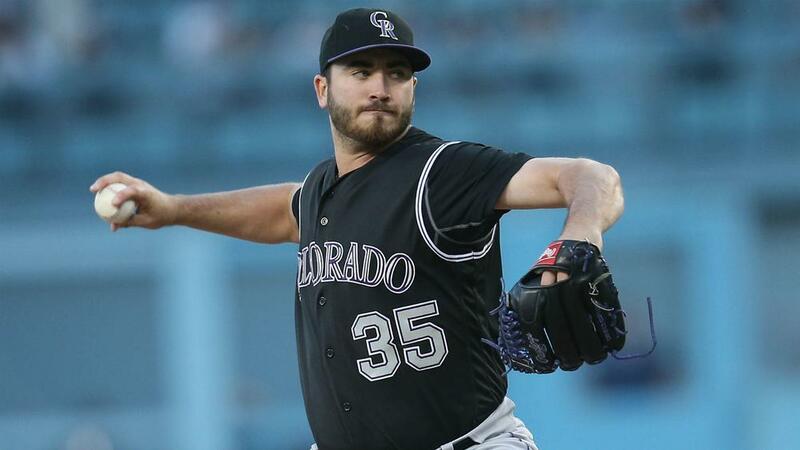 Colorado Rockies pitcher Chad Bettis is cancer free. Bettis, 27, announced on Wednesday that recent exams showed there were no signs of cancer in his body. "I feel great," Bettis said via the MLB Network Radio. "I got an early Christmas present the other day. "The doctor called me on December 22 and told me that I'm cancer-free, so all is good and I'm ready to push forward here." Bettis was diagnosed with testicular cancer in November and had a testicle removed. He said he was sidelined for two weeks from his conditioning program, but soon was able to resume some workouts. "After that two-week process, I started full workouts," Bettis said. "I'm actually throwing now and working out again." According to Bettis, he will have blood work done every few months to make sure the cancer has not returned and there are no complications. Ever since Bettis fully joined the Rockies in 2015, he has posted a 22-14 record with a 4.57 ERA.